In October of 2013 I set out on Elance.com (now Upwork.com) to make a few extra bucks. I was lucky enough to find Marie Trout who needed someone to transcribe recorded interviews for her thesis. Since my full time job as a 911 dispatcher requires me to listen, understand, and type quickly, my skills were perfect for the job! 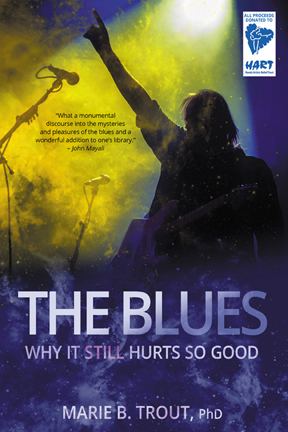 After completing her Doctorate, she decided to turn her research into a book “The Blues – Why It Still Hurts So Good” which is now on sale through Amazon in paperback and as a Kindle e-book. In the 3 and a half years since I met Marie, I have transcribed interviews, analyzed interviews, edited a manuscript into book form, added footnotes to the book, edited the book into an e-book, helped navigate Amazon’s Seller Central, Author Central and Kindle Direct Publishing (KDP) tools and updated Marie’s WordPress website using PHP, HTML and CSS. Communication: Since Marie is in California most of the time, we communicate mainly via email and Skype. Transcribing: I used Audacity to listen to interviews so I could slow them down to type-able speeds. I can type fast, but not that fast. I typed up the transcriptions using Microsoft Word to make it easier to deliver them to Marie. Analyzing Interviews: Marie and I would review the interviews separately, then meet via Skype to discuss our findings. We also used an application Marie found to tag sections of the interviews, but I forgot what that was. Editing: I used Microsoft Word to help edit the book and turn it into an e-book. Website: Marie’s site was already using WordPress with a custom theme so I had to learn how the theme was set up. All edits are done in HTML and CSS using Atom then copied to Marie’s site using WordPress tools. Amazon: Marie asked for my help getting her book listed on Amazon. I had no experience selling on Amazon so my solution was to dive in head first to learn about any solution that could help Marie. Billing: We started with Elance.com, but soon switched to Paypal for billing. Communication: Marie and I haven’t met in person, yet. I found that working remotely requires a lot of communication. My theory with remote work is to err on the side of over-communication. I would rather have a client say “Too much! I know you’re doing the work. Just tell me about…” than have them wondering if I’m paying attention. Transcribing: It took some trial and error to figure out my workflow, but being paid for the work helped me figure out the best way to get the work done. I learned to create shortcuts for common words to make typing faster then use ‘Find and Replace’ to turn them into real words. Analyzing interviews: Marie is the expert. She’s the wife of a professional blues musician and was the one doing all the research. It was up to me to find ways to add value to her work and she made that easy and comfortable. Editing: I have a theory that most people use barely 10% of Microsoft Office applications. Editing a manuscript into book-sized pages (Marie self-published) and adding footnotes and styles allowed me to learn a lot about Microsoft Word’s capabilities. I think I can use 20% of Word’s tools now. Website: I got to learn how to update a WordPress site with a custom theme without ruining it. This was my first time being paid to do any sort of web development so I was excited and nervous. The biggest challenge was using only WordPress tools and access to update the site. Amazon: The Amazon Seller’s Central dashboard is an intimidating array of options and information. This makes sense since just about anyone anywhere can sell almost anything through Amazon. It takes a jump-in-with-both-feet kind of attitude to sell a physical item through Amazon for the first time. KDP was much easier to set up and navigate thanks to Amazon’s guides and Author Central also has some very helpful tools. We ended up using every kind of support option for sellers (chat, email, phone, etc.) to get things set up. I have become Marie’s go-to person for most things internet and technology related. I believe this is mostly due to our mutual respect for each others’ time and effort along with a lot of timely and honest communication. I now consider Marie to be a friend and I enjoy helping her succeed any way I can. Before I start, I just want to say a huge THANK YOU for reading these posts and listening to the podcast. 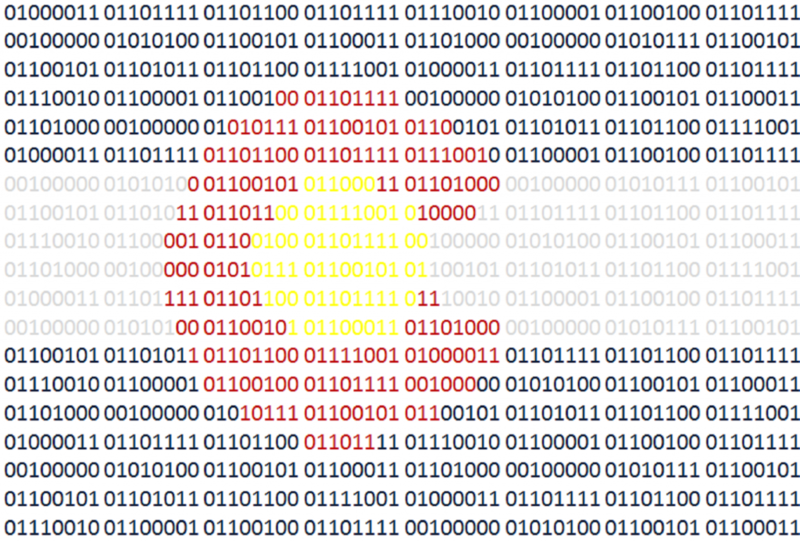 It’s great to be a part of the Colorado technology community. What should be the future of Colorado Tech Weekly? I am coming up on 3 years of posting a Colorado Tech Weekly post every single week. That’s a huge deal and it’s something I’m immensely proud of. However I’ve run into a few issues lately that have made me consider how to continue. It turns out that producing a podcast, even with one person and no editing or sound effects, doubles the amount of time I work on Colorado Tech Weekly. The thing is, I want a podcast with more than one person with co-hosts and guests, music and sound effects, and a better production but I don’t want to neglect my work towards working to be a developer to produce the blog and the podcast. I could either stop doing to podcast and focus on the blog posts OR I could focus more on the podcast and make the blog posts more like show notes for the podcast. I’m tempted to do the second option and put more of my focus on the podcast. I’m curious what you think. I love using Colorado Tech Weekly to share news about Colorado tech and to share the great Colorado tech news sources. Unfortunately, some of those great Colorado tech news sources have decided to add monthly article limits or paywalls in order to make money. I completely get the need for news publications to make money. I want reporters to be compensated so they can spend time digging into stories. However article limits and paywalls make it really difficult to share stories with others because I don’t want to send my readers to articles they can’t read because they’re not subscribers to those sites. I’m not good at asking for feedback. I’ve gotten some good feedback about the podcast and whenever I go to events I hear that the blog posts are a great resource. Do you want Colorado Tech Weekly to continue? How do you want it to continue? Would you be OK with it being more of a podcast? Do you want less headlines with more in depth stories? A bi-weekly podcast with more discussions? What ideas do you have for Colorado Tech Weekly? Let me know on Twitter, Facebook, or email me: feedback@coloradotechweekly.com. Be the first one to support the Colorado Tech Weekly Podcast! I’m still looking for my first Colorado Tech Weekly Podcast supporter on Patreon. In order to sweeten the deal, I added rewards! All Colorado Tech Weekly Patrons will be thanked on the show and get the ability to make announcements on the show. Early access supporters get the content of my Colorado Tech Weekly posts as soon as they are finished. I usually create the post on Sunday but I don’t publish it until Monday morning. You will get it as soon as it’s done! By giving over $10 per month you will be invited to the Google Hangout that I will run while setting up, recording and broadcasting the podcast. As a Sponsor, you or your organization will be mentioned during every podcast as a supporter of Colorado Tech Weekly. I will also announce any upcoming events or promotions for you or your organization as long as you tell me about them. Give as much or as little as you like. Your support ensures that the podcast continues. Thank you! Ever since I started Colorado Tech Weekly in 2013 I always wanted to turn it into a podcast. In fact I originally meant for Colorado Tech Weekly to be a podcast, I was just too intimidated by the process. I’ve thought about it, dreamed about it and now I’m FINALLY DOING IT! I’m super excited… and nervous… but still excited! So how is it going to work? Each Monday afternoon I will record a Colorado Tech Weekly podcast episode and use the Monday morning post as my show notes. The episode will be posted to SoundCloud and a link will be added to the Colorado Tech Weekly post. I want to have a quality sounding podcast, but to do that I need your help! I’ve set up a Patreon account and a PayPal button to support the podcast. There is no minimum and it’s purely a value-for-value model. If you want the podcast to continue and to continue to improve, support the show! Twitter has had a crazy rule that unless your follower:following ratio is over some super secret ratio then you can’t follow more than 2000 people, so Follow Sweeper was created. Updates can be found on the main project page. The good thing about using APIs is that you can create an app that has access to the tools and information you want from various websites, like Twitter. Now I don’t consider Twitter’s change to be “bad”, it’s just bad for this project. I don’t have any motivation to use it or maintain it now that I can follow more people. It was a nice project to practice Ruby programming with APIs, but it has served it’s purpose so I’m setting it aside for now. My officers are required to submit a “Statement in Support of Warrantless Arrest” (Warrantless Arrest) and a “Determination of Probable Cause” (PC) to the courts when arresting someone on new charges. Much of the same information on the Warrantless Arrest such as the subject’s name, the subject’s date of birth, date and time of arrest and crimes charged, etc. are also required on the PC. I wanted to find a way to allow officers to only enter that information once. More info can be found on the main project page. On July 30, 2015 my deputy chief approved the use of my Combined Probable Cause and Warrantless Arrest Form and made it available to patrol officers. The form was created by modifying current forms and creating Visual Basic code to retrieve information and populate the form. The two biggest issues I had was getting feedback from my officers during development enabling spellcheck from the document. You would think working on a project that would make the officers’ work easier would mean that I would have plenty of willing testers. I did not. Luckily, the head of our Records Department was great at testing the form and responding quickly which allowed me to finish the project. The orange text is set to only visible on the screen. It then unprotects the document, checks spelling, then protects the document after it is done. I realize this is not the most secure way and that I’m sure if someone wanted to bork up the document it wouldn’t be hard, but it works for this case. I’m looking forward to working on a few more projects to improve things at my department, but for now, this one is done! This is my first published app! It’s a watchface app for the Pebble TIme Smartwatch. A watchface app is an app that is displayed on a Pebble watch when it isn’t doing anything else besides telling the time. Purpose: I wanted to use some of the knowledge I gained while preparing for the Pebble Rocks Hackathon that I went to in September. The hackathon turned out to be a bust for me, but not using the knowledge I gained felt like a waste. I’m also a huge Avalanche fan, so I created this watchface. Solution: I modified the Pebble tutorial for watchfaces, found the exact team colors and team font to create the watchface. I had big ideas about displaying game day information on the watchface, but I had to scale my plans down. I used the Cloud Pebble IDE and, between that and the Pebble Developer Portal, creating and publishing my app was very easy to do even for a new developer like myself. Great job, Pebble! Challenges: I had 2 major issues with this project: Finding access to hockey statistics APIs and the Avalanche font. I wanted to have my watchface show schedule information for the Avalanche. I just wanted the date, time and opponent of the next game and maybe the score of the prior game. it did not seem like a big deal to get this information since it’s on every major website that covers sports, but it turns out it is a big deal. Professional sports APIs are locked down very well and developers have to pay for access to these APIs. This makes a ton of sense considering how much effort it takes to churn out accurate real-time statistics for fast-moving professional sports. My options were to either pay for access to these APIs or create my own API. I chose to move on. The font I found did not have a colon or a slash included, so the Pebble Time watch did not show these characters. You’d think this would be an obvious issue, but when you install the font on a mature system like Windows, Windows is nice enough to show you basic characters even when they’re not included in the font so I didn’t notice the issue until I installed it in my app. The font had to be modified. I attempted to use a version of FontForge I found on SourceForge. It would crash every time I tried to use it. Any other font-modification software I found was either costly or it was a WISYWIG-turn-your-handwriting-into-a-font program which is neat, but not what I needed. I cried a little, then enlisted help from a friend, then dropped the project for a while. FontForge is an open source program and it turns out not all open source repositories of the same name are the same. The REAL FontForge project is found on Github. I was able to use this version to modify the font to my liking and made it work on the watch. Yay! Outcome: You can find my Avalanche watchface at http://apps.getpebble.com/en_US/application/5635df3f4e6cf645be00003f. If you want to install it on your Pebble Time Smartwatch, just search for “Avalanche” in the watchface store. Show it some love by giving it some hearts in the Pebble store and let me know what you think about the watchface! Create my own API to keep track of the Avalanche schedule to add gameday info to the watchface. Create an Android companion app that allows users to choose the team they want to display on the watchface and the associated jersey. (ie. “Avalache – Third Jersey” or “New York Islanders – Away Jersey”). I am coming up on Colorado Tech Weekly #100. That will be 100 straight weeks of consistency! I am highly impressed and very surprised by this. I didn’t know I had it in me. I give the Colorado technology community a lot of credit for my consistency. I’ve been told on LinkedIn that CTW is considered a valuable news source and I was recognized by BuiltinColorado because of CTW. I also get a lot of enjoyment out of sharing the successes of the people, organizations and companies that make up the Colorado tech community. It’s turned into a labor of love. A Colorado Tech Weekly Podcast: I’m a big fan of technology podcasts. I started listening to This Week in Tech about 10 years ago and now I listen to the Daily Tech News Show, Coder Radio, Ruby Rogues and The Code Newbies Podcast on a regular basis. The Colorado Tech Weekly Podcast would be a slightly deeper discussion on the 10 articles with a format similar to the Daily Tech News Show. I’d like to have a co-host and/or guests to help make the show more interesting. 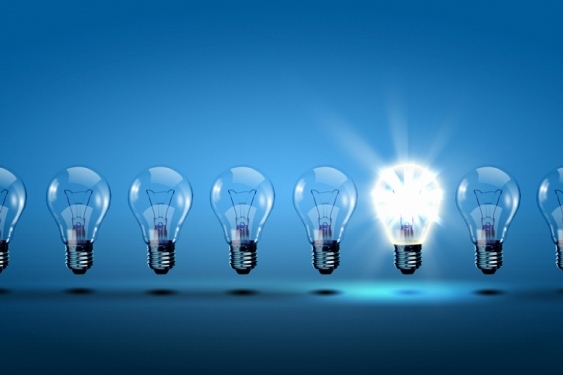 Generate Some Revenue: As a hobby, CTW has been a success. It makes me wonder if I could add some advertising to make it a successful side business. However I don’t want to just stick some Google Ads in the posts. That’s lame. I’d like to talk to the people I am advertising for and I’d like them to be Colorado companies and organizations. I’m also considering starting up a Patreon account for CTW. Giving CTW it’s own site: I’m not sure how much I like this idea, but I’ll talk it out anyway. I made sure to get the www.coloradotechweekly.com URL and right now it just points to my Colorado Tech Weekly category page. Giving CTW it’s own site would give me more opportunity to modify the newsletter. The only downside is that one of the reasons I started CTW was to get people to visit my site so giving CTW its own site could be counterproductive. Original content: CTW is simply a news aggregator. I like the idea of doing some actual journalism. I’m not sure if I ever will, but I like the idea. Adding contributors: If I do the podcast, create a site just for CTW and/or start producing original stories I’m not going to be able to do it alone. Finding other people to help contribute to CTW sounds like fun. Although I’m not sure how to manage that either. Only time will tell if these dreams and ideas happen. As of now they’re just ideas. No plans yet. As most people reading this probably know, I’m a big fan of Twitter. Unfortunately, Twitter has a crazy rule that unless your follower:following ratio is over some super secret ratio then you can’t follow more than 2000 people. With my interest in Colorado Tech, I am constantly at that limit, which means I end up unable to follow new people. I knew that there were some Twitter accounts that I was following that were inactive, but there is no easy way to find which accounts were inactive, so Follow Sweeper was created. It’s written in Ruby and gives me a way to play with Ruby and the Twitter API without worrying too much abou Rails or any other framework although Rails is likely in Follow Sweeper’s future. I have a project page for Follow Sweeper but the best way to follow its progress is on the Follow Sweeper GitHub page. I work as a police dispatcher for a small department in the Denver, Colorado metro area. When I heard that officers were annoyed with some of the duplication they encountered when doing paperwork I started looking into their process to see if there was a way I could help. Officers are required to submit a “Statement in Support of Warrantless Arrest” (Warrantless Arrest) and a “Determination of Probable Cause” (PC) to the courts when arresting someone on new charges. Much of the same information on the Warrantless Arrest such as the subject’s name, the subject’s date of birth, date and time of arrest and crimes charged, etc. are also required on the PC. I wanted to find a way to allow officers to only enter that information once. The only thing that bothers me about this project is that I couldn’t come up with a short, catchy name for it and an acronym is completely out of the question (SPOPWVB is very un-catchy). I stumbled into a solution using Visual Basic in Microsoft Word. You can check out the project on the Streamlining Police Officer Paperwork with Word and Visual Basic project page. You can see all my projects on my aptly named Projects page. Any feedback, assistance and advice on any of my projects is always appreciated!